Finally winter knocked our doors with the first snowfall of the season. Today’s outside temperature is around -5 with light snow. I really don’t like that much of cold because in Kolkata minimum temperature in winter is around 10 to 12 degrees. So my first winter experience in Canada was really horrible but now a days I love the Canadian winter also. Actually when you start living in a place for a long time you will fall in love with place and the surroundings. Same things happend with me. Today’s evening after coming from some grocery shopping I felt like frozen so what to do immediately planed to prepare some pakora with ginger Tea. Because my husband was going to come from office and he will also feel like the same. In a very fast and easy way I prepared one Capcicum Pakora or Green Bell Pepper Fritters. 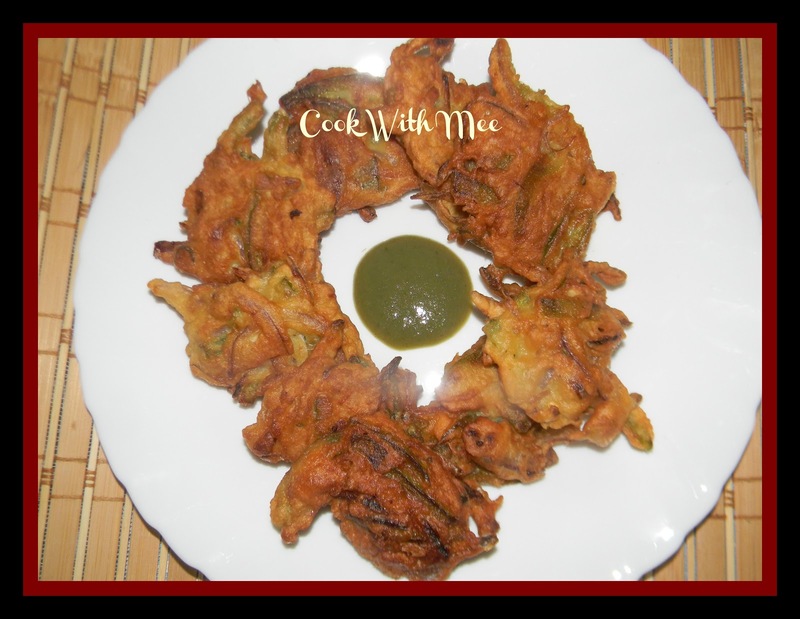 I just added few normal ingredients but the Pakora was super hit. Some time we only think about good stuffs to make some extra ordinary dish but with some daily ingredients we can make something unexpected. 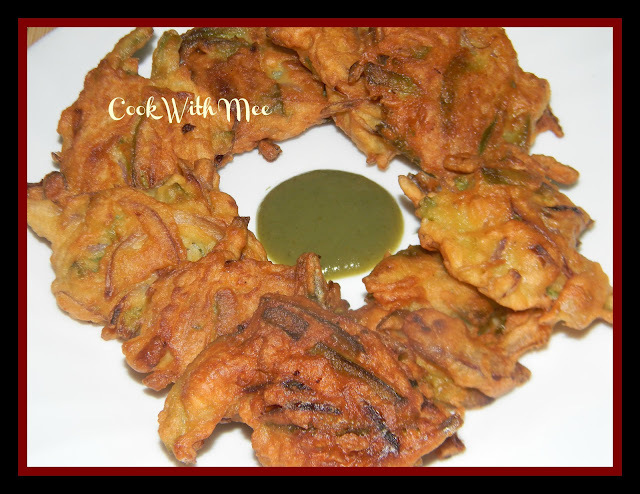 A snowy winter evening with a cup of tea and pakora what else we need. 1.One medium sliced green bell pepper. 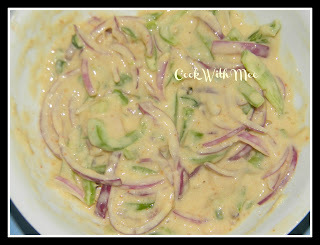 2.One medium sliced red onion. 4.Two table spoon all-purpose flower. 5.One table spoon cornflowe.6.A pinch of baking powder. 7.One tea spoon bread cram. 8.One tea spoon ginger & garlic paste. 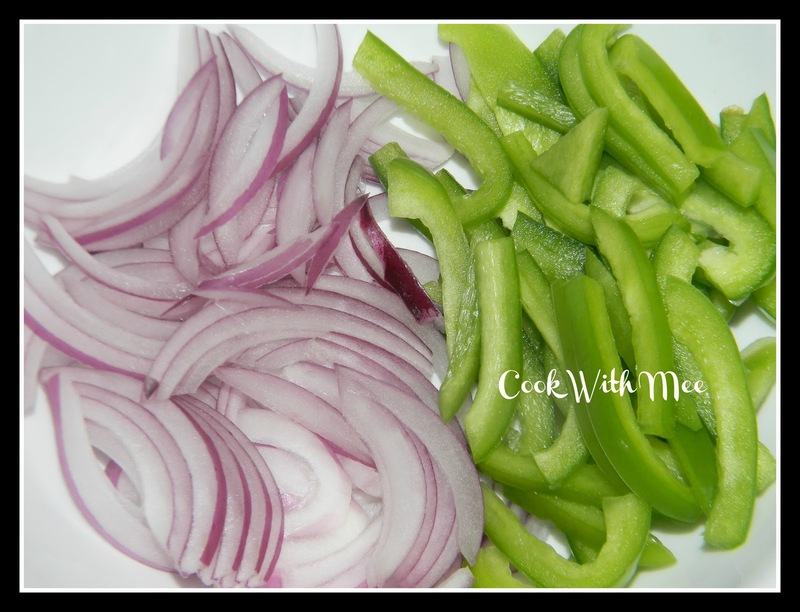 9.Two to Three chopped green chilies. 10.Half tea spoon red chili powder & half tea spoon of chaat masala. 11.Salt and sugar as per taste. Mix all the ingredients as mentioned above with little water and prepare a little thick mixture. Heat enough oil for deep frying. 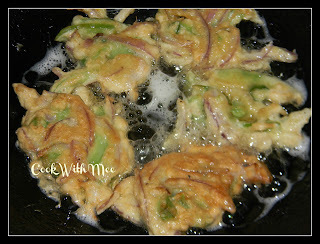 Now slowly fry the Pakoras (few at a time). And soked the extra oil in a paper towel. Serve hot with Chili Sauce.